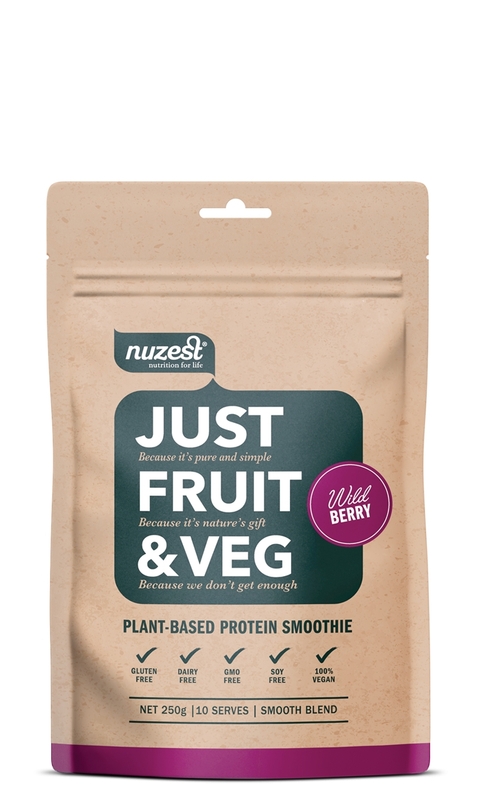 Nuzest Good Green Stuff, Superfood, Nutrition. 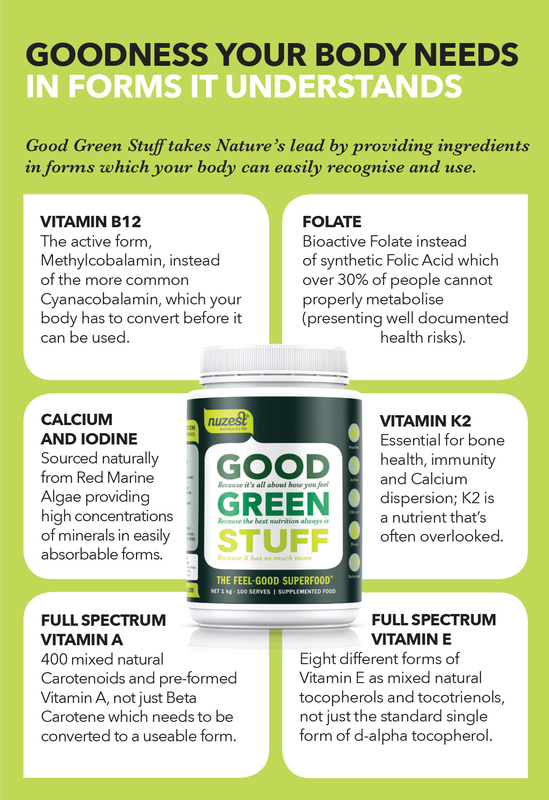 Known as the Feel Good Superfood, Good Green Stuff is the ultimate lifestyle supplement for people looking for a high quality, effective solution to help fill nutritional gaps. 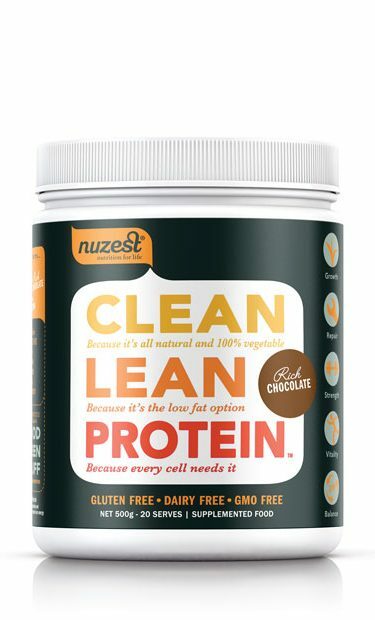 With over 75 ingredients, it’s a super-blend of all your essential nutrients in one daily serve. 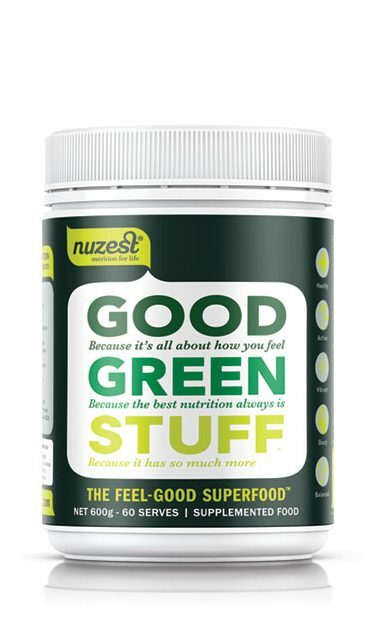 Good Green Stuff is packed with nutrient-rich greens, fruits, vegetables and berries; and is fortified with a full range of vitamins, minerals, digestive enzymes, herbs, prebiotics, probiotics and antioxidants — a synergistic cocktailproviding complete nutritional support in one daily serve. 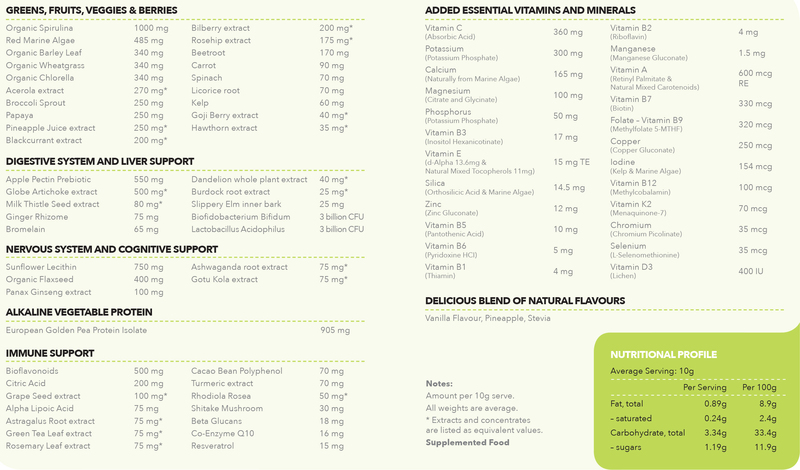 Being a powder that mixes in liquid, Good Green Stuff is easier to digest than tablets or capsules; and being made from real food, the nutrients are recognised by the body and readily absorbed. 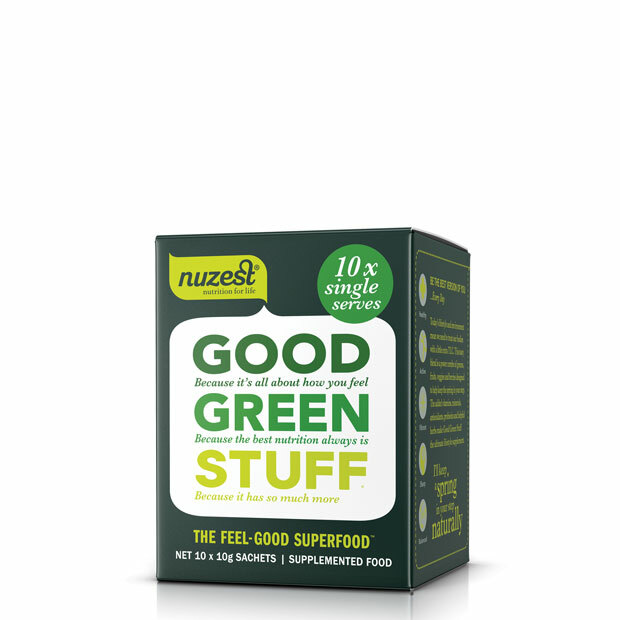 Good Green Stuff contains high levels of prebiotics, probiotics and enzymes, as well as herbs which support the detox organs and elimination pathways. Good Green Stuff contains herbs and ingredients traditionally used to support the nervous system and cognitive function; and adaptogens to help recharge the adrenal glands in stress relief. The production process of Good Green Stuff is intricate and methodical. Small groups of ingredients are blended together, and then the blends are blended. This is done slowly to avoid heat, thereby preserving the active nutrients and the “goodness” of each ingredient. This is not an easy process. It takes years of experience to master the ability to achieve an even particle size and even dissemination of ingredients. This is critical to ensure that every scoop contains the same nutritional profile especially after transport and time in storage. Good Green Stuff is manufactured in Nelson, a pristine region of the South Island of New Zealand, by Alaron Products. Alaron is an experienced, government registered, GMP certified and TGA approved facility. They have recently installed new state-of-the-art facilities now being used in the production of Good Green Stuff. licence depends upon it. Each batch is also tested independently to ensure it is safe and gluten free. That’s what our customers tell us.